In November, 2007 Rebecca and Dade visited Phnom Penh, Cambodia. Months before they had discovered a non governmental organization in the area called Cambodian Children's Fund. CCF is run by Scott Neeson, an ex-Hollywood movie executive who went to Cambodia in 2003 on vacation, saw the impoverished conditions people were living in, gave up his job, sold his belongings, and decided to open a center to help poor children. 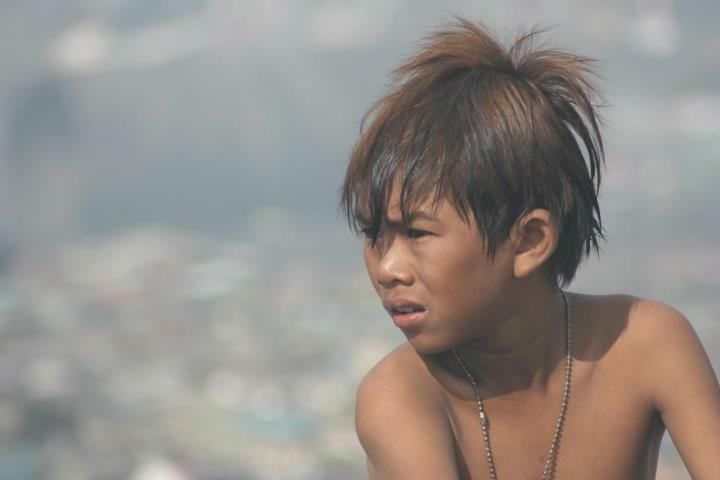 He focused mainly on families living (yes...we said living) in the local waste dump called Steung Meanchey. 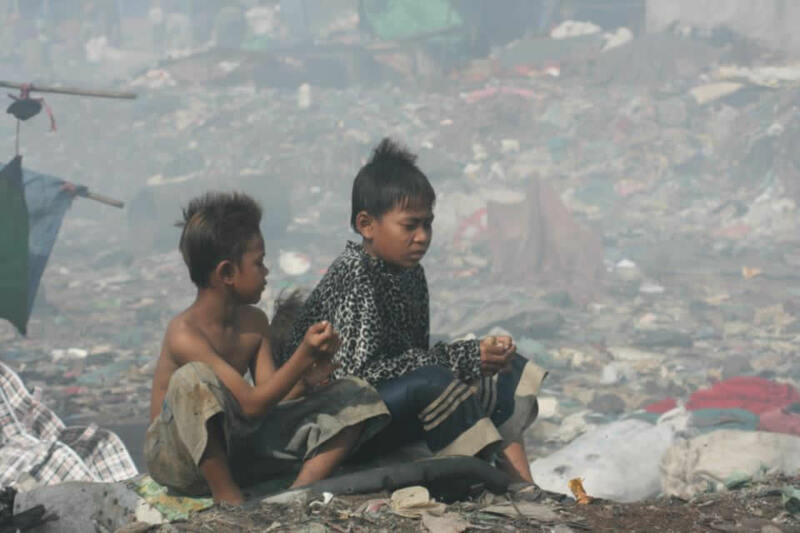 These children and their families live literally on top of the landfill waste and pick through the garbage all day in search of recyclables to sell for a penny per pound. Scott has been able to affect the lives of hundreds of children by offering them food, shelter, education and vocational training. Several months before visiting Cambodia, Rebecca and Dade began sponsoring two children, Tep Sila and Sok Kheang. They corresponded with them via e-mail and got to know a little about them. While in Phnom Penh they met them face to face. Dade continues to sponsor both children today. After Rebecca's death, we were touched to receive a packet of handmade condolence cards from the children of CCF and a heartbreaking message from Sok Kheang, who mourned the death of "Mom". 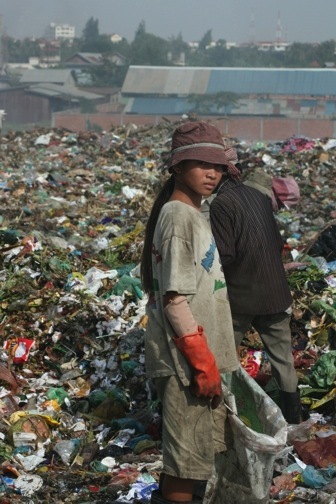 At the time Rebecca and Dade visited, Sok Kheang lived at CCF during the week but spent Saturday night and Sunday at the garbage dump with her aunt, and her brothers and sisters. Rebecca and Dade also toured the dump. Rebecca wanted to see firsthand the full scope of the situation, and take some photos which would hopefully inspire more people to get involved. What they saw there the English language has no words for. If hell exists, they found it in a ghetto of Phnom Penh. There was toxic smoke rising from burning mountains of decomposing trash and being blown through the air. Shelters consisting of a few poles and a piece of thin plastic were placed right on top of the newest layer of garbage. Children were running barefoot over medical waste and broken glass to try to get to the back of the trucks pulling in. All color seemed to have been erased, and everything was grey. The stench was something difficult to define, but something they would remember for the rest of their lives. It was the most horrendous, unexplainable place they had ever seen. Rebecca took the photos shown below. We hope that they can convey in some way how the people of Steung Meanchey live.